Paul has multiple disabilities, walks with difficulty and has little verbal communication. 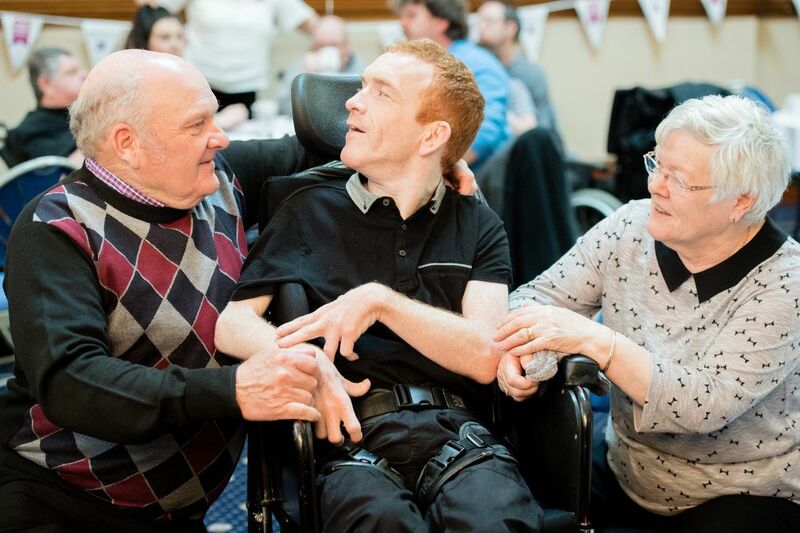 Before Paul’s move to Affinity Trust, Paul’s parents had been worried about him, feeling that he was not happy and that communication with his previous support teams could have been better. Tony, Paul’s father, says: “When Paul moved to being supported by Affinity Trust, I must admit I wasn’t expecting great things – we had been disappointed so often previously. “Unfortunately, things didn’t get off to a great start, as staff had to be with Paul constantly because he was likely to fall.” Paul found this difficult and often responded with challenging behaviour. But Paul’s support team helped him improve his mobility, giving him more independence. This made him much happier. Staff also worked with Paul’s parents to understand how he communicates, adopting an upbeat, friendly approach. Tony is delighted: “Paul loves his support staff. They are the reason we have our cheerful chap back for the first time in years. It is wonderful to see. Paul’s health has improved and his weight has increased. He has grown in confidence and attends courses at the local college. 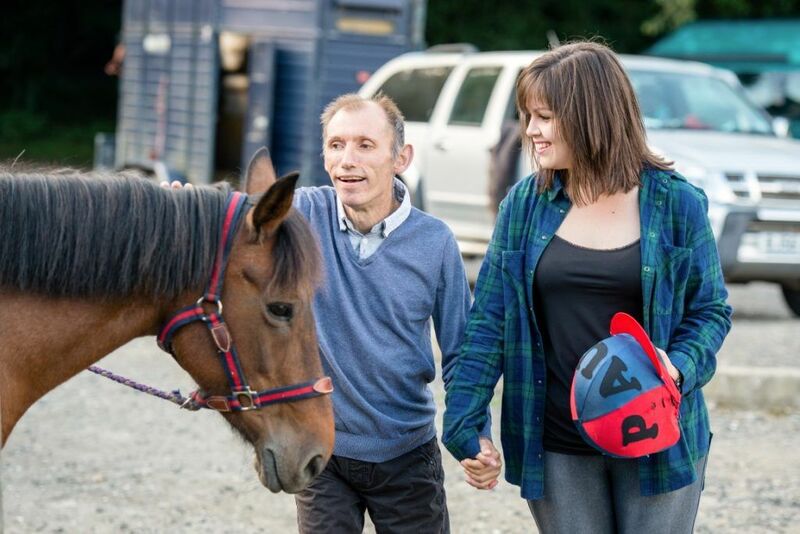 Tony says: “He is supported so well to do things he really enjoys – particularly horse riding. From a young child he was always stroking the horses in the field behind our house. It’s great he can now ride once a week, he loves it. “Thanks to Affinity Trust, Paul is happy and part of the community, including doing ordinary things that my other children do – such as enjoying a takeaway on a Saturday night. 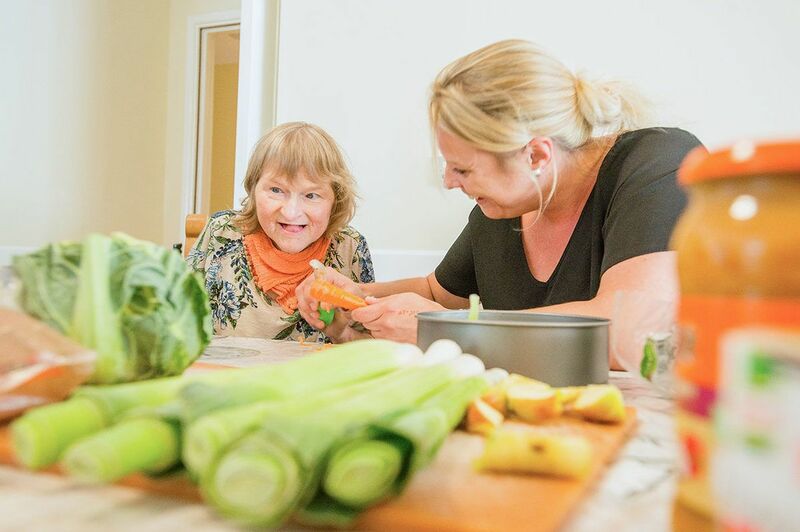 We aim to build strong and trusting relationships with families of the people we support. This means respecting their views, and their role in supporting their family member.